Why Do People Live in Stream Valley? Stream Valley is located just west of Interstate 65 off Lewisburg Pike in Franklin TN in the picturesque rolling hills of Williamson County. In many ways, this neighborhood is still in its infancy. Residents are attracted to the easy access provided to I65 and short drive to historic Franklin. There are a variety of housing options available here; everything from small, one-levels to large executive-style homes. With the addition of the commercial area provided in Berry Farms, more buyers are exploring this location. What's the Stream Valley Neighborhood Like? In 2008, the development consisted of 14 homes. After the 2008 economic downturn, the 345-acre development had fallen into foreclosure. Ryan Homes purchased the property and began construction in 2012. There are approximately 300 homes in Stream Valley today. You will find everything from 1,800 square foot, one-level homes with two-car front entry garages in their Hometown Series to 5,500 square foot, executive style homes with side entry 3-car garages and basements in their Manor Series. There is lots of green space provided in passive parks and a swimming pool for the residents convenience. The development is still several years from completion but sales have been strong since being taken over by Ryan Homes. What Type of Activities are Offered Near Stream Valley? Now that the Carothers Parkway corridor is complete, residents have a short drive to the Cool Springs Galleria and retail district. There are a wide variety of eating and shopping venues. Historic Franklin is just a short drive where you will find lots of shopping, eateries and entertainment venues, including the Franklin Theatre which offers movies, live theatrical performances and music groups. With the development of Berry Farms, Stream Valley is within minutes of retail shopping and eateries including a new Publix Grocery store scheduled to open in 2017. For serious golfers, the addition of The Grove Golf Course in College Grove will give residents the ability to take advantage of world-class golf. What Schools will Stream Valley Students Attend? Are New Construction Homes Available in Stream Valley? 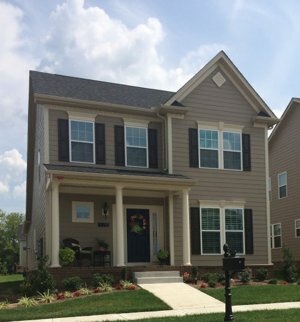 Ryan Homes continues to build in Stream Valley. They have a furnished model with on-site agents. Remember, these agents work for the builder and represent his interest. New construction home buyers should use your own buyer's agent when purchasing in Stream Valley. Tammie White of Franklin Homes Realty LLC has represented buyers in this neighborhood and has past dealings with Ryan Homes. It costs a buyer absolutely nothing to have their own buyer's agent as the agent's fee is already built into the base price of the home, which is non-negotiable with the builder. Let Us Help You Find Your Stream Valley Home. 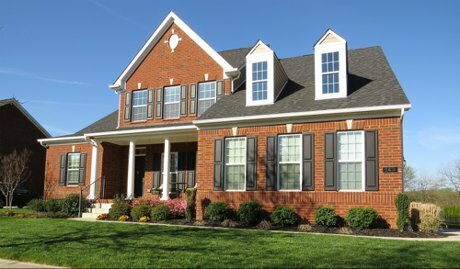 Below you will find a complete list of the Stream Valley homes for sale in Franklin TN. The majority of these homes are new construction. Ryan Homes doesn't build market homes. Their current build time is approximately 8 - 9 months. For those in need of housing within the next 60 days, Stream Valley may not be the right location. However, you will occasionally see an existing home come on the market. Keep in mind, these homes sell quickly and should be viewed right away if you have an interest. When you're ready to buy a Stream Valley home, call Franklin Homes Realty LLC at (615) 495-0752.